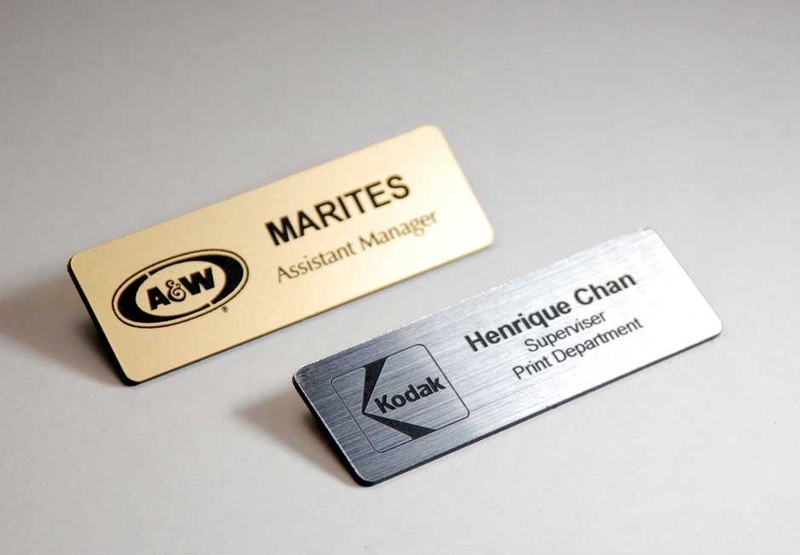 Wilson Trophy has extensive experience and in-house capabilities for producing name badges. Choose from a wide range of styles, colours, materials, fonts, and designs to find what meets your needs. We can do any shape and size, no project is too big or too small. Whether you need a dozen name badges for your small business or a mass production of hundreds we can meet those needs. We will provide the same attention to detail and high level of customer service regardless of the size of your order. The customization can even go as far as the method of printing. We do lasering, colour direct print, colour fill, engraving, silk-screening, heat transfer, sandblasting and even sublimation. Traditional pin back and magnet back ensure your badges are secured in place for everyone to see! A name badge can do much more than just show a name, it can help you brand your business. Use a common font, or style to brand your name badges, and further increase your brand recognition. 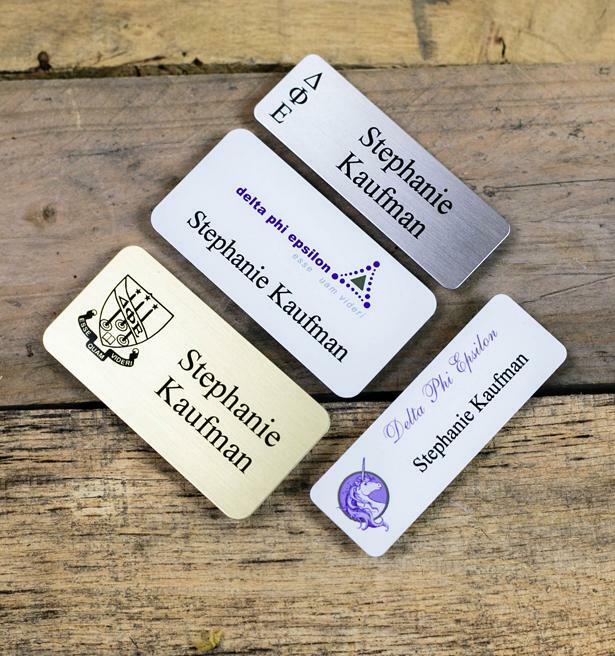 Customize your name badges to meet your style and create a common theme. Include your logo to further your branding on your name badges. We have the skill, experience and technology to tackle even the most complex and intricate designs. 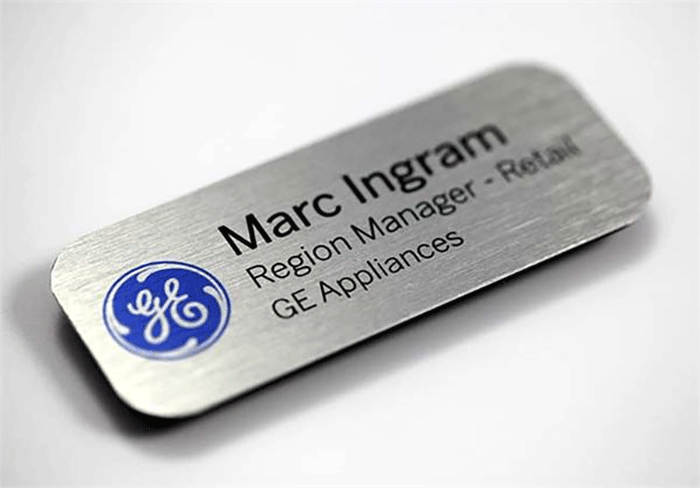 Get creative; a branded name badge can be a great way to extend your brand’s recognition and image. Customize any of these options; we can even do custom materials and designs. You can choose from materials such as, metal, plastic, PVC, brass, chrome, decals, and cut lettering, or even your own custom materials.